I don’t know about you, but “Spring Fever” is no joke in my world. And if you live in the Skagit Valley, opportunities for indulging those rampant post-winter-doldrum impulses are numerous and varied. A mere glimpse of vegetable starts on racks outside of the Skagit Valley Food Co-Op on a sunny spring day (which btw has the best lemon cookies ever) tumbled me headlong into turning over my raised beds and doing a tour of the local nurseries. 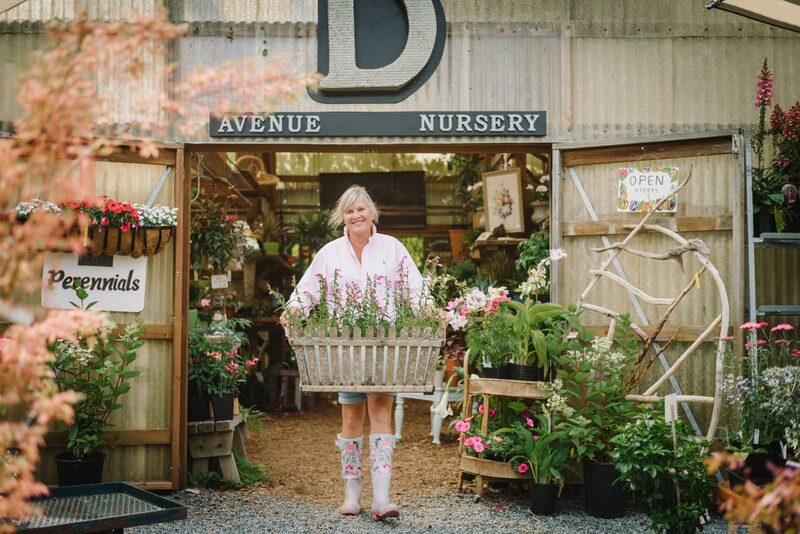 We are fortunate to have some excellent options in the Valley, and worth making an afternoon of it to visit a few, since each has its own personality and offerings – Christianson’s and D Avenue Nurseries to name a couple of must-visits. They often have workshops, so be sure to check that out. It goes without saying that wandering the tulip fields is de rigeuer. Regardless of how you feel about tulips, it really is a grand spectacle of nature set against the majestic Cascades, and not to be missed. Conveniently, the tulip route segues nicely into a visit to the nurseries mentioned above. Once you’ve satisfied your green thumb and visions of a complete garden renovation, you’ll probably have worked up an appetite… as well as a thirst. I gotcha covered. Hop back in your car and discover the Skagit Farm-to-Pint Ale Trail and drive through the very fields that grow the barley in your Skagit Valley beers. This of course can be an all day affair if you choose. 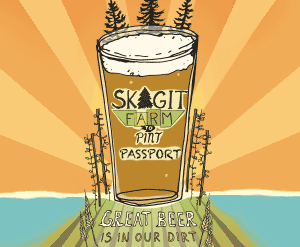 Your “Passport” can be picked up at the Skagit Valley visitor info centers, or at Skagit Brewery where you can also pick up your free pint glass once you finish the trail. 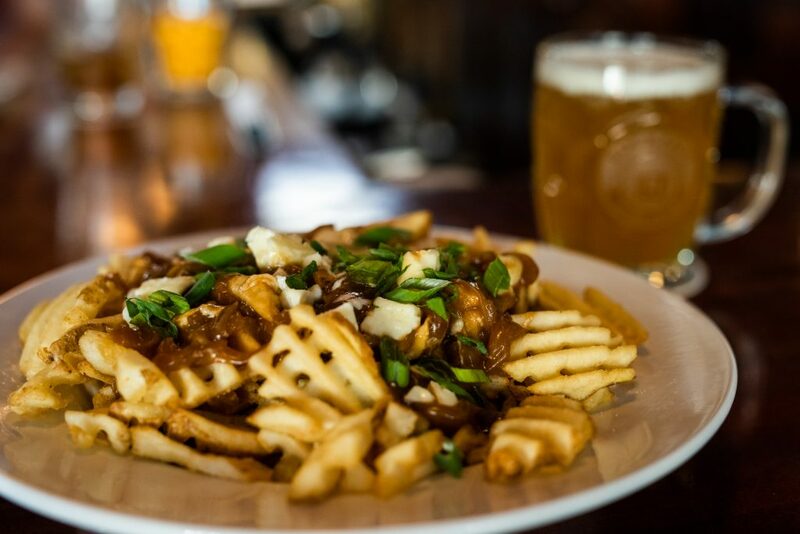 I checked in at Anacortes Brewery and had a pint of Eternal Meadows, developed by The Pink Boots Society, an association of women brewers, to go along with a mouth watering bowl of their poutine – because if poutine is on the menu, I’m ordering it. It’s worth mentioning here that the local farm scene isn’t limited to food… along with a strong Slow Food movement there is also a thriving Slow Flower movement in the Valley. Tobey Nelson, a regional floral designer and educator supports this movement by sourcing her florals from local sustainable growers such as Jello Mold Farm, a family run farm in Mount Vernon that’s based on the principles of sustainability and responsible watershed practices. “This local agriculture helps maintain bucolic scenery, and provides a great setting for destination weddings and events. The abundance of locally grown food and flowers cuts down on the carbon footprint associated with importing blooms and foodstuffs during the growing season”, Tobey explains. You can even take advantage of workshop offerings that teach you the ins and outs of floral design with the local bounty. If you decide to stay outdoors and picnic, be sure to explore the many farm stands in the area, such as Hedlin’s (combining huge flower fields with local produce, found at the roundabout entering La Conner from LaConner-Whitney Road or Chilberg Road), or stop in at Rexville Grocery on Best Road which always has plenty of options for your basket. 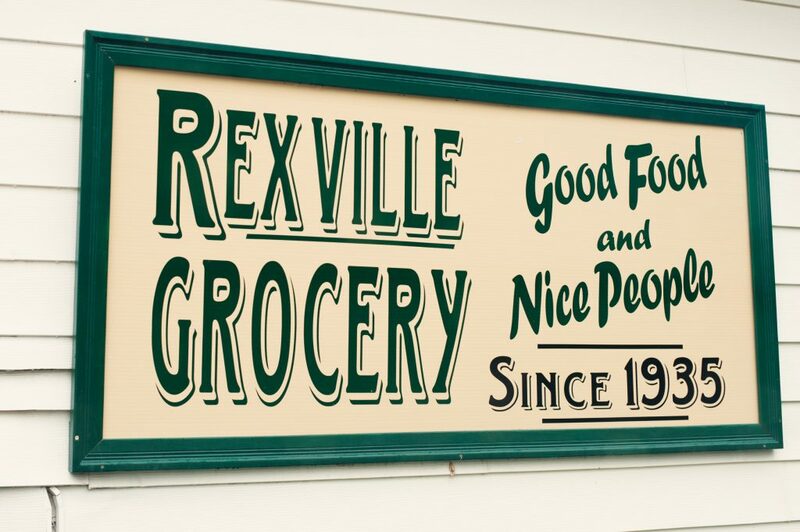 Circle around behind Rexville onto Rexville Road to find Pleasant Ridge Farm…they have some of the best honey around along with produce. More bounty can be found at Schuh Farms on SR536 – they have lots of delicious canned and pickled goods and excellent homemade pies…sometimes they even have mini personal pies and tarts, which kids (and me) get super excited about. 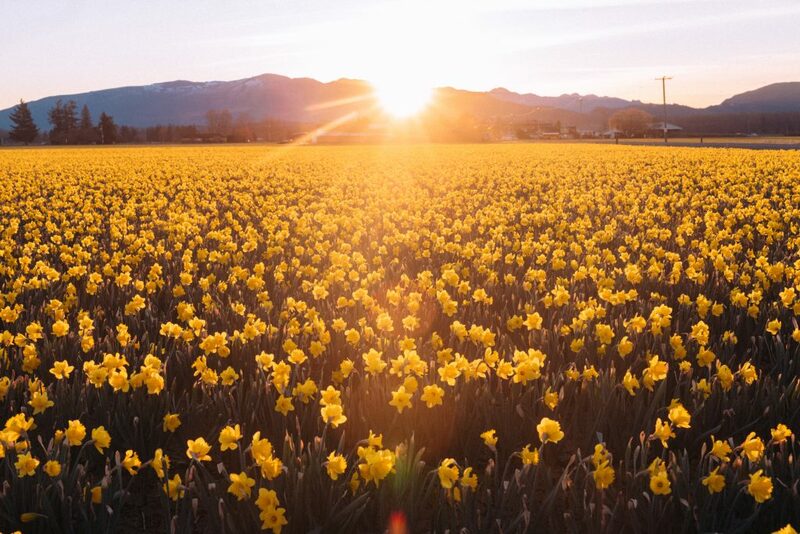 Right across the road during the Skagit Valley Tulip Festival is the Pickle Barn – host to the annual fine art and gift show. Mix and match as you see fit, and have a day full to the brim that inspires, educates and entertains!